The world's best linux logging program! Changes should show up to user with very minimal changes. (if any). All credits of this change goes to Andreas, DL7OAP, who wrote whole monitor core using stringGrid component. We have been busy last days with testing this new monitor. Now it seems to work quite well and it is time to get a bit more users to test it and report possible bugs. When it is confirmed to work ok, it will find it's way as pull request to official version. Sources are can be found from https://github.com/OH1KH/cqrlog-devel, look branch "newmonitor". Sources against official 002 are in https://github.com/OH1KH/cqrlog, look branch "newmonitor" also there. We like to hear your comments! I'm running OpenSUSE Tumbleweed, running a stable CQRLOG rpm from a Community Repository (home:dl8fcl:afu) and after latest Tumbleweed software updates, I get the known CQRLOG error "Invalid type cast". So I decided to give a try with the binary Beta version available here http://www.saunalahti.fi/~sakny/bin/cqrlog2/ and such annoying error as disappeared! I'm not totally sure if the CQRLOG Beta binary could have any relations with "Invalid type cast" error or not, but I would like to report my result here. I have not seen that kind of error ever so there is not any fix specially made for that. If understood ok beta binary now works. If understood wrong, please advise when the error appears (when using beta binary). I meant that when using the "Stable" cqrlog binary I get the error, while if I use the "Beta" cqrlog binary the "Type Cast Error " doesn't appears. Just wanted to make sure that I understood ok. While testing new 2.3.0-212 (now released) I got same error and I know now what kind of situation causes that and how it is fixed. At least at that point where it was in beta. Just upgraded from 2.3.0-211 to 2.3.0-212 (64 bit). Everything seems to work on my Ubuntu 18.04.2 LTS PC with 4.15.0-46-generic x86_64 kernel. Upgrading to 2.3.0-213 however gives me the following message: "Error during connection to database: TMySQL57Connection : Server connect failed." On 2.3.0-212 and lower I do not get this error. Any idea? For the time being, I revert to 2.3.0-212. That comes first in to my mind. same problem here with Mint 19 and mysql (mariadb). Beta 213 did not connect to the running Database, Beta 212 did without restarting anything. I only changed the cqrlog Binary, nothing else. i checked syslog as described in #7, no apparmor error. The fix didn't work also. Beta 213 did not connect to the running database. Open cqrlog and see if any messages like in https://www.cqrlog.com/node/2223 appear when cqrlog is starting. And add file /tmp/debug.txt to your next message. 2019-03-17 13:13:53 140129104899200 [ERROR] Plugin 'Aria' init function returned error. 2019-03-17 13:13:53 140129104899200 [ERROR] Plugin 'Aria' registration as a STORAGE ENGINE failed. 2019-03-17 13:13:53 140129104899200 [Note] InnoDB: innodb_empty_free_list_algorithm has been changed to legacy because of small buffer pool size. In order to use backoff, increase buffer pool at least up to 20MB. 2019-03-17 13:13:53 140129104899200 [ERROR] InnoDB: The system tablespace must be writable! 2019-03-17 13:13:53 140129104899200 [ERROR] Plugin 'InnoDB' init function returned error. 2019-03-17 13:13:53 140129104899200 [ERROR] Plugin 'InnoDB' registration as a STORAGE ENGINE failed. 2019-03-17 13:13:53 140129104899200 [Note] Plugin 'FEEDBACK' is disabled. /usr/sbin/mysqld: Too many arguments (first extra is ' --defaults-file=/home/meier/.config/cqrlog/database/mysql.cnf --datadir=/home/meier/.config/cqrlog/database/ --socket=/home/meier/.config/cqrlog/database/sock --port=64000'). TMySQL57Connection : Server connect failed. Very similar on Ubuntu 18.04.2 here: No apparmor error in syslog. The fix linked in #7 does not work either. Beta 213 does not connect to the running database whereas I have no such trouble with Beta 212. 2019-03-17 14:22:19 140604790336640 [ERROR] Plugin 'Aria' init function returned error. 2019-03-17 14:22:19 140604790336640 [ERROR] Plugin 'Aria' registration as a STORAGE ENGINE failed. 2019-03-17 14:22:19 140604790336640 [Note] InnoDB: innodb_empty_free_list_algorithm has been changed to legacy because of small buffer pool size. In order to use backoff, increase buffer pool at least up to 20MB. 2019-03-17 14:22:19 140604790336640 [ERROR] InnoDB: The system tablespace must be writable! 2019-03-17 14:22:19 140604790336640 [ERROR] Plugin 'InnoDB' init function returned error. 2019-03-17 14:22:19 140604790336640 [ERROR] Plugin 'InnoDB' registration as a STORAGE ENGINE failed. 2019-03-17 14:22:19 140604790336640 [Note] Plugin 'FEEDBACK' is disabled. /usr/sbin/mysqld: Too many arguments (first extra is ' --defaults-file=/home/pa3hgc/.config/cqrlog/database/mysql.cnf --datadir=/home/pa3hgc/.config/cqrlog/database/ --socket=/home/pa3hgc/.config/cqrlog/database/sock --port=64000'). and the attached debug.txt file with Beta 212. It has something to do about fixing "command line is deprecated" warnings from cqrlog source. Sad thing is that I have Fedora 28 (x64) and Ubuntu 18.04.2 LTS (i386) and both are running version 213 without problems ! 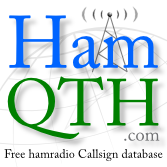 Before releasing 213 I found error in LoTW export when cqrlog was calling tqsl. It has "parameter error" although command line that should start tqsl was copied from debug dump and pasted to cosole and lit WORKED. But not when it was initiated from inside cqrlog. This seem to be same problem, mysql is called with right parameters but it does not start. I call "real" mysql server from port 3306 with my programs, I do not use "save log data to local machine" that initiates new mysql instance and uses it from port 64000. Be patient and look for 214. Beta 214 seems to work fine on Ubuntu 18.04.2 LTS 64-bit. Thank you for fixing the issues. I'm running Beta 212 on openSUSE Tumbleweed 64 bits and it works flawlessly, jointly with WSJT-X. Which are the main differences/changes among 212 and 214, which is the latest Beta available? It is worth to update to 214? I'm just about to release 215 for testing within few hours, I hope. You can always check the differences by downloading the zip file and extracting it. There you find a text file README.OH1KH that is a log of changes. Understood now, I will read the README.OH1KH of future releases. QSL_SENT standard ADIF value "R" gets exported as "Y".